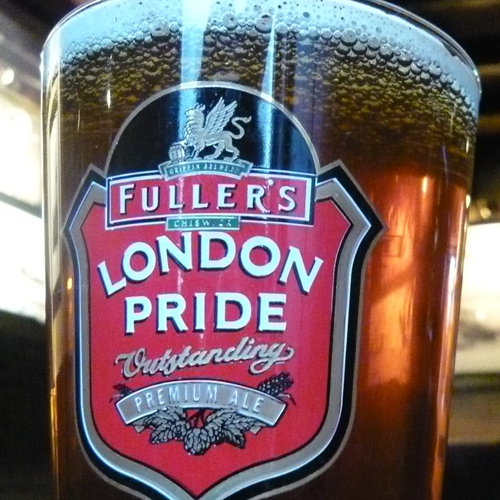 Fuller’s London Pride was first brewed in 1959. London Pride. It’s a familiar cask beer on bar-tops up and down the breadth and length of the British Isles; amber in color and malt forward with a floral hop character courtesy of Northdown, Target and Challenger. It’s also a seasoned Transatlantic traveller with kegs and bottles available in English-style pubs in the likes of New York and Chicago (often accompanied by its muscular cousin ESB). This is the archetypal British family or regional brewers’ beer, well made, sessionable and furnished with a history (Pride was first brewed in 1959, created from a beer called Special Pale Ale, which itself stretched back to the 19th century). Other beers with similar characteristics include Adnams Southwold Bitter, Timothy Taylor Landlord and Wells Bombardier. To make an American comparison, these breweries’ beers are the counterparts of Shiner Bock, Yuengling’s Traditional Lager and Anchor Steam. I have a fondness for several, especially Southwold Bitter and ESB. However, to the craft beer enthusiasts/geeks in the United Kingdom, regional breweries’ beers are often dismissed as ‘brown and boring,’ the beery equivalent of their parents’ music collections (Scottish ‘punk’ brewery BrewDog has often added fuel to the flames with frequent dismissals of cask beer, though it has toned down its rhetoric somewhat in the past year). What these fans, Smartphone in hand, constantly on Twitter and Instagram, yearn for are craft beers that are either Herculean in their alcoholic strength and IBU-ed to the hilt or wood-aged and brimming with bugs. However, the beer geek’s myopic view now looks out of date. Take Fuller’s once again. Ever since 1997, one of the most eagerly awaited events in the British beer calendar has been the annual release of the brewery’s Vintage Ale, a rich and strong beer designed to age in the bottle (I tasted the 1997 in 2007 and then 2011 and was fascinated in the way the beer had changed in character). There is no way you could call Vintage a run-of-the-mill beer and its debut lifted the brewery’s reputation even higher than it normally was. 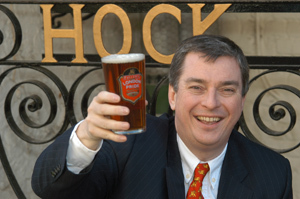 However, head brewer John Keeling is keen to point out how Fuller’s interest in brewing beyond its portfolio actually started three years earlier. 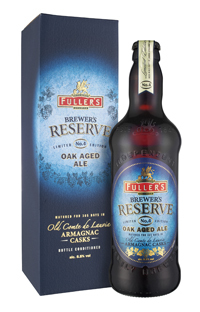 Fuller’s started releasing its Brewers Reserve series in 2008. In 2008 the brewery released its first wood-aged beer, Brewers Reserve No. 1, which had slumbered for 500 days in 30-year-old single malt casks. There have been three other expressions of this beer, all matured in different casks. There is more. Keeling has also looked back through Fuller’s extensive archives (there has been beer made on the brewery site for more than 350 years) and the results of this backwards glance was the Past Masters series. This has brought forth an 1891 Double Stout, a 1931 Old Burton Extra and a strong ale from 1966, which was originally brewed to celebrate England’s victory in the World Cup. Looking back with affection is a growing trend with other family breweries. In the southeast of England, Shepherd Neame, which is one of the UK’s oldest breweries, brought back Double Stout and Brilliant Ale from the dead, using a pilot brewery to get the recreations right (the latter beer was first brewed in the middle of the 19th century). Meanwhile in the rugged western region of Cornwall, St Austell’s head brewer Roger Ryman rooted around in the archives and discovered a 1913 recipe for a rich and virtuous stout. Again he used a pilot brewery. It sometimes seems that not one month goes by without a press release announcing that a long-established brewery will be recreating a favorite from the years before World War I. Being a time traveller is one thing, but another way in which regional breweries have been upping the ante is by installing a small pilot brewery (Fuller’s doesn’t have one but John Keeling admits he is looking at the potential for one), on which all manner of experiments can be carried out. They verge from the nano (Badger Brewery’s is 120 liters) to the more substantial (Thwaites is 20 brewers’ barrels) and in some ways they are carrying on a venerable tradition. When the classic but peripatetic English IPA Worthington White Shield came home to be brewed in Burton-upon-Trent at the end of the 1990s it was on an experimental brewery originally set up by Birmingham-based Mitchell & Butlers 70 years before. St Austell and Wadworth also had their own microbreweries installed the best part of a decade ago. It must be stressed that this was not being craft before its time, but about wanting to test-brew new brands without having to make large volumes. Developing test brews for the main portfolio is one thing though, but the past couple of years have seen many family breweries install pilot plants and the drinker has been the beneficiary.